O nosso quarto entrevistado é o André Olbrich, guitarrista dos Blind Guardian. MBG – Hi! First of all I want to thank you for your availability to take part on our interview series. Could you start by telling our readers who are Blind Guardian and what genre of music do you play? André Olbrich – Hi, it’s a pleasure. We are a metal band that is around since 1987. Our music style is very difficult to categorize, since we have everything from ballads to very epical orchestral songs. But I would say that it’s very melodic metal in general. 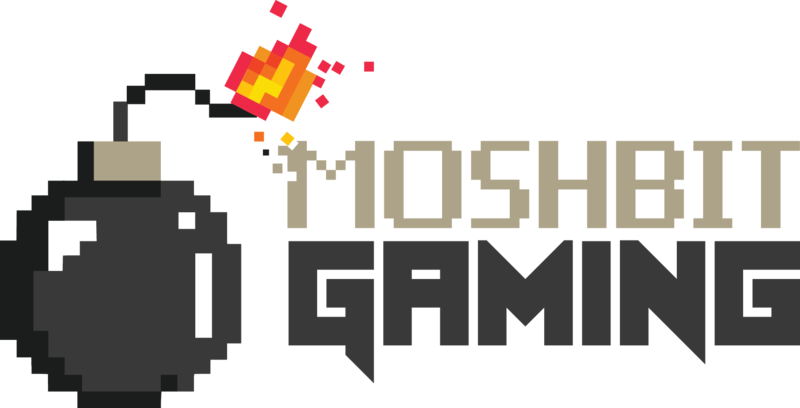 MBG – Are there any gamers in the band? If so, how often do you play? MBG – I know Tolkien is a big influence to the music you make. Is there any other book, movie or videogame that inspire you to write such lyrics? André Olbrich – Lyrics is very much Hansi’s business. And yes there is many songs based on books like for example of Stephen King, Michael Moorcock and so on. And there is influence of movies as well. Specially in our new album will be a song based on a very cool movie, but I’ll not spoil it yet! 😉 Of course I’m influenced by video games as well when I write music. But it’s not that I would try to copy the game music. It’s more that I grab the spirit of the game and try to imagine how my own soundtrack would sound like. I was definitely inspired by Final Fantasy, World of Warcraft, Elder Scrolls and Diablo, only to name a few. MBG – It’s possible to hear your song Sacred Worlds in the RPG Sacred 2. Can you tell us more about it and how did that happen? André Olbrich – I think we were lucky that the owner of the game studio Ascaron is a big Blind Guardian fan. So he asked us if it was possible to provide some music for his latest RPG. Since I knew Sacred 1 we agreed immediately and started to work on Sacred World. The good thing was that they provided us with some rendered intro scenes and I composed some stuff for a trailer. The Ascaron guys liked it so much, that they even skipped their already recorded orchestra music and used our composition instead. I think that was although the moment when they had visions and wanted us to have virtual in the game. They decided to bring in even a Blind Guardian quest and render a full animated performance of the song in the game. I must say that I was very proud of the result, since we were one of the first bands who did a cooperation with a video game company. MBG – How important do you think a soundtrack is to a videogame? Is there any soundtrack or composer that you really like? André Olbrich – It’s absolutely important!! It creates the atmosphere of the game and features the feeling of an epic world. World of Warcraft is a good example. You have different parts of music in almost every region in that epic world. So if you travel to a location where you haven’t been for a while, the music will give you that familiar feeling and all of a sudden your memories come back and you get that nostalgic feeling. I named some of the best Soundtracks already. For me the best one is clearly Elder Scrolls. And now that they even added the Morrowind melodies in ESO, it’s almost perfect for me. Final Fantasy has very beautiful soundtracks as well. I remember that FF7 was the absolute blast at that time. And for sure Square were the masters of 8bit music. I although like the soundtracks of WoW and Diablo, Blizzard is doing a good job there. MBG – There are countless 8-bit versions of Blind Guardian songs online. What do you think about them? André Olbrich – I like it very much and I’m very happy that we have dedicated fans who do all the work of programming. Since I’m a classic gamer, I think some of them would even fit very well to the classic 8bit games! André Olbrich – I would choose the Morrowind theme. It has very epic melodies and I could imagine how to transfer it into an orchestral metal song. Since our songs “At the edge of Time” and “Wheel of Time” were composed for orchestra only, before I transferred them into metal songs, I have kind of experience with that. MBG – I know you’re working on an orchestral album. Can you tell us how is it going and what can we expect from Blind Guardian in the future? André Olbrich – It’s working very well. All the compositions for the orchestral album are finished. Almost all orchestral parts are recorded and Hansi is singing almost every day in the studio. If everything works well, we will finish with the recordings this summer. I think you can expect the release of the album in early 2019. Besides this, we are working on metal songs of course. We wrote some very interesting material already, but it’s too early to say how the metal album will sound like. The next metal album and tour is scheduled somewhere in 2020. MBG – You played at Festival Ilha do Ermal 9 years ago. Do you have any recollections of your time in Portugal? 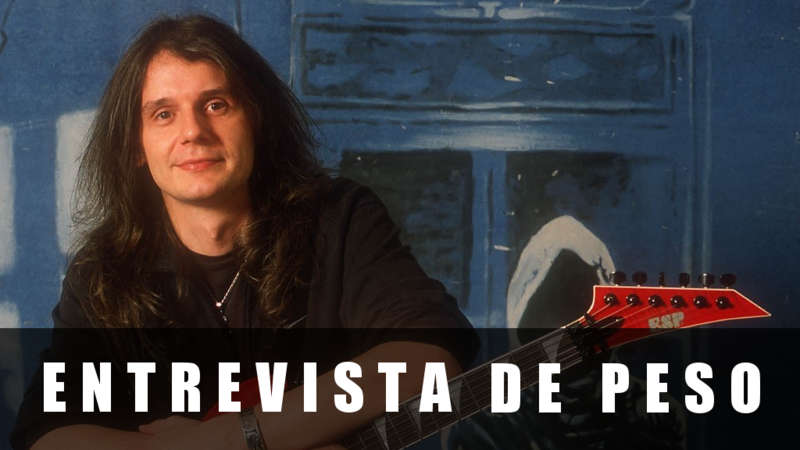 MBG – There are a lot of Portuguese Blind Guardian fans (myself included) waiting anxiously for your return. Do you have any plans to visit Portugal in the future? André Olbrich – First of all we love to play as many countries and as many cities as possible. We know that we have dedicated fans everywhere. But in the end it’s up to our tour manager which route and which clubs will be booked. Right now the next tour is in far distance, so I can really not say anything about it, but I hope Portugal will be on the list next time. MBG – I want to thank you once again for accepting to give us this interview. Anything else you want to say to our readers?